Four species of lupin are cultivated in the countries of the former USSR (nowadays CIS). These are yellow or European lupin (L. luteus), narrow-leafed or blue lupin (L. angustifolius), white lupin (L. albus) and perennial forms of multifoliate or Washington lupin (L. polyphyllus Lindl.). Moreover, the largest part of lupin-producing areas (more than 90%) is under yellow lupin. Lupins are used in these countries as green forage, silage, grass meal and sideral fertilizer. Green matter of this crop used as green forage for cattle essentially raises milk productivity. On a considerably smaller scale lupin (mainly L. albus) is grown for grain, which is applied to balance animal diets in protein and for manufacture of compound mixed feeds. The problem of manufacturing high-quality mixed feeds in the present time is rather pressing. More than half of all mixed feeds produced in the CIS countries have failed by now to meet the standard requirements of protein content. The reason for this is, first of all, the shortage of high-quality raw material for their production. Researches have shown that to obtain mixed feeds balanced in protein and irreplaceable amino acids their composition should include no less than 12,5 % grain of leguminous crops. However, the demand for them is satisfied by less than 3 %. Experts in the area of compound mixed feeds production have set a strict requirement to raw materials serving as protein-bearing additives that the content of protein in them should not to be lower than 25 - 30 %. It is explained that the more protein is there in an added product, the less is needed to prepare high-grade compound mixed feeds. In view of this, lupin seed containing 40 - 50 % of protein and a significant quantity of oil, which is also important, may serve as a perfect component in the production of compound mixed feeds. Never attempting to deny the extremely important role of lupin in making green forage, silage and grass meal, which has already become conventional in the CIS countries, we consider, however, that in the long run this crop needs to be more widely used to produce grain. Cultivation of lupin is especially effective in the non-black-soil zone with its low fertile soils where it is difficult to grow other leguminous crops. Nowadays, when all fertile lands suitable for cultivation of agricultural crops have already been included in crop rotation, the only way to expand arable areas is to include in agricultural utilization waste lands and light soils characterized by increased acidity. In addition to reclamation efforts, their development can be appreciably promoted by lupin cultivation. Plowing all its green matter in ground is equivalent to applying 20 - 30 tons of animal manure per hectare. Besides, nitrogenous substances contained in the green matter of lupin are decomposed much faster than manure. Reserves of mineral fertilizers are not boundless as well. At the present time the worldwide crop production draws out from the ground about 110 million tons of nitrogen annually, while application of mineral fertilizers bring in only 60 million tons (Мишустин, 1979). Their utilization factor does not exceed 40 - 50 %. The most part of nitrogen taken by the plants from the ground is biological; basic leguminous crops because of the activity of nodule bacteria store it. This is one more argument for the necessity of expanding lupin cultivation. Cultivation technology for green forage and sideral fertilizer production. It is widely accepted that lupin is an unpretentious crop, but this opinion is not a justified one. First of all, annual lupin forms manifest certain requirements to have a definite place in crop rotation. To avoid fast development of diseases they cannot be sown on the same site and after other leguminous crops more often than once in three or four years. For lupin, the majority of soil types are suitable, except for heavy loam, superfluously humidified and peat soils. However, it is desirable that they were not too choked by weeds and well-supplied moisture. It is necessary to take into account that lupin negatively reacts to lime with the lack of magnesium in the ground. In view of this, it is undesirable to plant it on the sites that have recently been limed. Fields where lupin is included in the rotation of crops need to be limed by dolomites containing magnesium, which neutralize the negative effect of lime. One should realize that at fertilization lupin consumes potassium twice more than phosphorus. Besides, it responds well to magnesium (20 kg/ha), and to treatment of seeds with microfertilizers containing molybdenum and boron (seed ratio is 25 – 50 g per hectare). At the sites where lupin is grown for the first time it is also necessary to apply special strains of Bradyrhizobium sp. (Lupinus) providing for fast formation of nodule bacteria. Lupin bears cotyledons on the ground surface. It dictates the necessity to plant seed in soil no deeper than 3 – 4 cm and to destroy the crust on the soil. Presowing rolling is a mandatory agronomic method, which helps to fulfil these requirements. In Russia lupin is usually planted early in spring in the same manner as other summer grain crops, i.e. with conventional (140-180 mm) row spacing (1.0 – 1.2 million seeds per hectare). Lupin may also be cultivated as a subsequent (intermediate) crop after early vegetables, potatoes and other crops. In this case sowing rate is increased by 15–20 %. Harvesting green matter for green forage or for preparation of other feeds may take place at the budding and flowering phases. For the purpose of making sideral fertilizers annual lupins usually allocate at sites, which are required to reclaim. Besides, lupin is frequently grown under trees, near bushes, as side scenes between other cultures and in a mixture with oats. Reasonably different ways of use of brought up green mass depending on the put tasks. If it is required to development that site, on which grows lupin, it is expedient to plow to ground. Plowing is carried out in the phase of complete flowering and at the start of pod formation, when the weight of underground mass is the largest. On the plowed lupin it is possible to sow winter crops in autumn or grow summer crops, potatoes and vegetables in spring. Another way is when green matter of lupin is grown on one site and then transferred to the other. In this case both sites are reclaimed: the first one as a result of plowing of the residues of lupin plants and roots, while the second one by the plowed green material. The advantage of plowing annual lupins in comparison with perennial ones is that it does not choke a site up with weeds. Besides in this case it is easier to choose a place for its cultivation. Features of cultivation for seed production. It is possible to obtain mature seeds of narrow-leafed lupin even in the Northwestern region of Russia, provided that cultivars were chosen correctly (with determinate branching) and all necessary agronomic requirements were met. 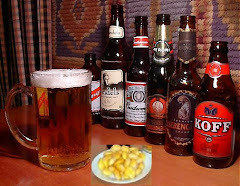 In the Central region, concurrently with narrow-leafed lupin, yellow lupin is widely cultivated. Seeds of white lupin can be received only in southern areas of the country. Lupin is planted for seed production purposes in the same manner as other summer grain crops with conventional (140 – 180 mm) row spacing (1.0 – 1.2 mln seeds per hectare or 8 – 10 seeds per 1 linear meter), or by wide-row sowing with sowing rate 0.5 – 0.8 mln seeds per hectare. Inter-row space may be 45 – 70 cm wide. Lupin is afflicted with diseases (Fusarium wilt, anthracnose, powdery mildew, etc. ), the agents of which in some cases are retained in seeds. In view of this, it is necessary to treat them by toxic chemicals. Best of all is to do it since autumn or during storage, but no later than two weeks before harvesting. It is necessary to use for planting only seeds of the first and second classes of the sowing standard. Organization of proper care of the plants is also important. Mandatory techniques are destruction of the soil crust and weed control by using agrotechnical, mechanical and chemical methods. It is necessary to harrow the crop across the rows or at an angle to the direction of sowing before shooting. This may decrease contamination by 50 – 80%. It is also possible to use trifluralin, prometrine, simazine or diuron. Their dosing rates and application methods on each site depend from climate conditions and structure of weeds and are presented in special guidelines. Cultivation of lupin sometimes has to deal with mechanical infestation or cross-pollination between various cultivars, which results in occurrence of alkaloid plants in the crop. It may cause significant damage because large quantities of seeds need to be discarded. It is extremely important to avoid mechanical mixing of seeds belonging to different cultivars and, for this purpose, to observe distance isolation (no less than 200 m). The best way is when cultivation facilities are specializing in growing one cultivar. Center of origin of cultivated annual lupin species is the Mediterranean region where they grow in mountain areas. Rather damp and cool weather prevails there during the period of plant growth, while the seed-ripening period is accompanied by drought. In the long process of evolution lupin has adapted to such conditions. In Russia, on the contrary, precipitation frequently takes place in the time of ripening; therefore the ripening period is considerably longer, so that in some years in the northern areas seeds do not ripen at all. Therefore, the plants should be defoliated and desiccated before harvesting. Debos is a universal preparation used both for defoliation and for desiccation of lupin. As a defoliant, it is applied in the beginning of the radicle-yellowing phase in the seed germ at a rate of 15 – 20 kg per hectare. If the weather is not suitable for making such treatment during the above-mentioned phase, it may be performed at the stage of browning of pods on the apical brush. It this case desiccation is carried out. Cultivation technology should be based on new cultivars with high productivity and tolerance against diseases, pests and adverse environmental factors. Perennial multifoliate or Washington lupin (L. polyphyllus Lindl. ), widely distributed in Belarus, Russia and other countries, was introduced into Europe as an ornamental plant and for green manure production purpose. It was widely popularized by Academician Pryanishnikov (Прянишников, 1931, 1962) who recommended this plant as the best source of green manure and it was advertised by dr. G.Hill as the source of мarious forages and as a flower plant in New Zealand (Hill, 1988, 1994; Hill and Tesfaye, 1994). 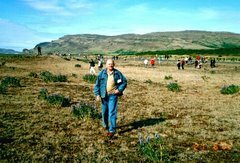 He proved that for reclamation of soils, especially poor in organic substances, it is necessary to apply sideral fertilizer, which not only improves soil properties but also raises efficiency of mineral fertilizers (Малыгин, 1969). At present, when low-alkaloid (sweet) forms of L. polyphyllus Lindl. have been discovered, quite promising seems the prospect of complex utilization of this perennial species of lupin for the fodder production, for green manure, in horticulture and in another fields. Perennial multifoliate lupin (L. polyphyllus Lindl.) is a long-lived, multi-branching and leafy semi-shrub, 1.0 – 1.5 m in height. The natural populations of this species were generated in Russia on edges of woods and fields, on roadsides, and also in parks and on the sites of former manors. Its root system is strongly branched: separate roots reach the depth of 2 m. Every year buds are formed on the main stem and root collar, from which leaves and tall branch stems terminate in elongated flowering heads. Color of flowers is mainly dark blue, however may include red, white and other shades. Perennial types of lupins, and particularly multifoliate or ‘Washington lupin’ (Lupinus polyphyllus Lindl. ), present a major interest for the agricultural production. It can be grown for fodder and seed in the countries with limited agricultural resources and a vegetation period insufficient for other lupin species, for example in northwest areas of Russia (Kurlovich et al., 1995), in Finland, (Aniszewski,1993) and other far northern countries. It can be cultivated on low-fertile sandy and acid soils, unprofitable for cultivating other crops. Under such conditions it can be grown and harvested for 4 to 6 years providing a yield of green mass up to 40-50 t/ha with 18-20% of protein (percent of dry matter). Lupinus polyphyllus Lindl. provides a high yield of green mass during the period of acute deficiency in protein availability for livestock when other fodder crops have not ripened. Its green mass can be used efficiently not only as green fodder, but also for silage, hay and vitamin grass flour. The seeds ripen before the harvest of cereals. In terms of green mass production, Washington lupin is in no way inferior and sometimes superior to clover and alfalfa. The lower is the soil fertility, the more obvious is the advantage of lupin as compared to the above mentioned forages. Washington lupin can be successfully used as means of increasing fertility of poor sandy soils, as it can enrich the soil with 250 to 300 kg/ha of nitrogen per annum. It can be also used to control soil erosion, especially in mountainous regions. Therefore, the introduction of perennial fodder (sweet) multifoliate Washington lupin into agricultural production will potentially allow a significant increase of soil fertility, production of protein-rich fodder and, consequently increased animal production. In conditions of Northwest Russia positive results from the use of sweet commercial variety of L. polyphyllus Lindl. «Pervenec» (first sweet variety), which is included in the State Catalogue of selection achievements of Russia. Features of cultivation of sweet Washington lupin for seed production. Multifoliate lupin is a crop with specific requirements connected with its biological features. Non-observance of them results in a decrease of productivity, and sometimes in a complete failure. It is especially sensitive to the conditions of cultivation in the first year of life. On rapidly drying sandy soils where lupin is usually cultivated, long absence of precipitation results in severe loss of plant density. On heavy clay soils poor emergence can occur. When suffering from lack of moisture, multifoliate lupin does not transfer superfluous moisture efficiently. In the process of development of the root system into the deeper layers of soil, lupin is less dependent on soil and climatic conditions than many other species. It also generally requires less of the soil nutrients. Lupin supplies itself with nitrogen from the activity of nodule bacteria, while potassium and phosphorus are acquired from deep-situated layers of soil with the help of its powerful root system. As with other leguminous crops, it consumes twice the potassium as it does phosphorus, and is intolerant of surplus of lime. It is necessary to plan that multifoliate lupin grows on one place for 4 – 6 years. In this connection, it is most expedient to place it on special sites. The best ground for this culture is sandy soils with mildly acid reaction (рН 5.5 – 6.5). It is not advised to plant multifoliate lupin on recently limed areas. Non-observance of this requirement can result in failure, as the plants of lupin react negatively to lime. It is necessary to apply the recommended rate of potassium and phosphatic fertilizers (К 80-120, Р б0-80 kg /ha) before sowing. The site is then harrowed and rolled. The seeds of multifoliate lupin begin to sprout at a temperature of +2 – +30 C. Earliest shoots emerge at autumn or winter sowing at these temperatures. Lupin is very sensitive to the depth of sowing, which should not exceed 3 cm. Seeds will sprout even from the surface of the ground. Freshly harvested seeds are unable to sprout for some time, as they remain dormant. Their germination rate rises during 2 – 5 months after harvest in natural conditions. Thermal heating can considerably reduce this period. The species has a property of grain hardness. At spring sowing with non-scarified seeds germination is uneven. Most seed does not germinate, even in months. It has been determined that seeds of lowest moisture content are the hardest. In this context scarification of seed is regarded as a mandatory method, especially at spring sowing. The best for spring sowing are scarified seeds provided by seed nurseries. However, in this instance the year is lost, as the majority of plants would only form bushes and develop a powerful root system, but during the period of vegetation they neither blossom, nor fructify. Only individual summer forms achieve in one year such complete maturity. More effective are autumn and even winter sowing, when fresh-cut seeds are subjected to air thermal heating without scarification. With the influence of low temperatures and humidity of the autumn, winter and spring periods, the shoots occur early in spring and seeds ripen by autumn. The summer sowing gives the worst results as the plants have no time to root and many of them do not survive the winter. In summary, perennial multifoliate lupin is best sown in the early spring or late autumn. Seeding rate depends on row spacing. At wide-row sowing (450 or 700 mm) it requires 8 – 10 kg / ha, with a distance of 4-6 cm between seeds in rows. In commercial production, with a sufficient supply of seeds, the seeding rate can be increased to 20 – 30 kg / ha. At conventional row spacing (140-180 mm) it requires 50 – 60 kg / ha. Perennial multifoliate lupin has high coefficient of duplication (from 1:100 up to 1:300), and these equations help to solve the problem of accelerated multiplication of new cultivars simply enough. Flowering occurs usually in the second year from late May to early June, while maturing of seeds is observed in July till early August. This is much earlier than winter rye and summer grain cultivars. Populations of multifoliate lupin are non-uniform and the flowering and maturing of individual plants within the limits of a population vary widely. Maturing of seeds occurs at regular intervals in the flowering head. Shattering of pods occurs approximately 8 – 10 days after complete maturity. Either two-phase harvesting, or direct combining can be carried out depending on the ratio of the ripened and still ripening pods. It is necessary to note that unripe seeds harvested directly by a combine are, as a rule, unsuitable for sowing because of low germinating rate. At the same time, it is possible to receive positive results by separate two-phase harvesting. Unripe pods on the top of the flowering head ripen within several days in dry weather darken and become quite mature. Such seeds have a high germination rate. In very dry and hot weather, when seeds ripen rapidly in more or less regular intervals, it is possible to apply direct once-over harvest by combine. It should begin when unripe green pods remain only at the top of the cluster. The middle and the bottom part are quite ripe and begin to shatter. Under favorable conditions, perennial multifoliate lupins yield 1.0 – 1.6 t/ha. Fodder low-alkaloid multifoliate Washington lupin is a perennial entomophilous plant. In view of this, for efficient seed production it seems reasonable to establish a special nursery for a term of many years, and to remove wild bitter lupin plants from the adjacent area. In the first year, all plants in the nursery need to be tested for the presence of alkaloids by pressing leaves and petioles against alkaloid-sensitive paper. All identified bitter plants should be removed before blossoming. Subsequently, such a nursery will satisfy the demand for seed for many years on greater areas. Features of cultivation of sweet Washington lupin for fodder production purposes. The majority of agro technical requirements for cultivation of Washington lupin as forage are the same either for green manure or for seeds. The conventional (140-180 mm) row spacing developed for cereals is used for sowing of lupin in this case. Recommended seeding rate of seeds is 45 kg / ha. Harvest for fodder purposes (first mowing) will be carried out during phases of budding and flowering of the plants. After mowing, it is expedient to apply phosphorous and potassium fertilizers (10-20 kg equivalent of each element). This promotes the faster re-growth of the plants. During the summer it is possible to recover two harvests of green mass. The production of green weight of Washington lupin for the two cuts has been found in research by VIR to be on the average 60,2 t/ha over 3 years. The first cut averages 39,1 t/ha and the second 21,1 t/ha. The correct planting and management of lupin can thus provide a high yield of green fodder over 4 – 6 years. At the same time the fertility of the site under lupin is increased thanks to the nitrogen-fixing activity of Bradyrhizobium sp. (Lupinus). It is necessary to note that after plowing of old plantations of multifoliate lupin early in spring or autumn, the dormant buds emerge early on the roots of plants which produce too many seedlings which can survive to the next year. It is best to carry out the plowing of lupin in the beginning of a summer, in the early phase of flowering of the plants. The young buds are dormant at this time. This species of lupin can be used as well as a pascual plant (for grazing). Cultivation and utilization of perennial multifoliate lupin for green manure. There are different ways for utilization of perennial multifoliate lupin. They include: so-called moving form, reclamation of long-abandoned infertile land and sowing lupin with a companion crop and plowing in for the subsequent crop. As a primary method of utilization of lupin, green matter is grown on one site, mown and transferred to another one, which needs to be developed and fertilized. Usually two mowings are made during a season. Commonly used are poor infertile grounds unsuitable for other crops, on which lupin will begin to grow. Sowing recommended in this case is without a cover crop, as its efficiency rises considerably after the first year. Perennial multifoliate lupin occupies a field for several years in this case. Cutting is carried out no later than full flowering; otherwise the second mowing will give insignificant dry matter. The first mowing is spread as fertiliser on a fallow field prior to sowing of winter crops. The second one is scheduled in autumn for potatoe and vegetable crops of the following year. The efficiency of a site under lupin strongly depends on soil conditions and fertilizers. The first mowing of lupin in the second year of life yields on the average about 25 t of green matter per hectare on light sandy soils. The second mowing yields much less and depends very much on meteorological conditions of the year. From the third year onwards the harvest of green matter at the first mowing would achieve 35 – 40 t and even 50 t/ha. Yields can be much higher on easily worked loamy soils. Each spring the plantation should be harrowed. On sandy soils it is possible to use one site for three or four years. Afterwards it will grow too thin and should be plowed up. Plowing is to be carried out in the end of spring or in early summer when lupin plants enter the flowering phase and viability of dormant buds expires. This would prevent the site from severe contamination in the next year. The most suitable subsequent crop is potato. The advantage of the so-called moving use of lupin as fertilizer is that the ground of the fertilized site is neither overdried, nor choked with growing young lupin plantlets. Reclamation of long-fallow land involves restoring the fertility of poor soils and waste grounds. Lupin is grown on them for 3 – 4 years or more, then the land is plowed and made suitable for cultivation of other crops. Fertility of poor soils is restored best when perennial lupin is not mown for several years. However, it often happens that green matter harvested from a site under lupin is also used to fertilize other fields or that the crop is left standing in the field to increase plant density and seed yield. So, a site with lupin can be utilized for diverse purposes. Agronomic requirements for creation of long-fallow land are the same as for cultivation of green manure. It is necessary to apply mineral fertilizer under lupin, harrow the crop every spring, and so on. When green matter is mowed on a long-fallow land, mowing should be accomplished no later than in August, so that lupin has enough time to collect nutrient substances before winter. Lupin can be sown with a companion crop, eg barley or oats. In this case, perennial lupin is sown together with summer grain crops (barley or oats) and plowed in for green manure in the second year of life in May/June when the plants reach their flowering phase. A fertilized field can afterwards be used for planting vegetables, potatoes or winter crops. This method is efficient because lupin by itself does not occupy a field and no special treatment of soil is required. In this way lupin functions as a high value natural fertiliser. Are perennial lupins weeds or valuable cultivated plants? We consider, that L. polyphyllus Lindl. and interspecies hybrids between different species of lupins have the highest potential in Russia, Belarus, Nordic countries and in Finland especially in future as a cultivated plants! In the course of 60 – 70 years lupin was cultivated in the former USSR for grain on the area of about 600 thousand hectares, while the areas of lupin cultivation for green forage and green manure covered up to 2 million hectares (Такунов et al., 1993). Most areas (more than 90%) were under yellow lupin. Major regions of its cultivation were the European part of Russia, Belarus, Ukraine and Lithuania. Lately, cultivated lands under lupin have suffered great reduction in acreage. In 1992, lupin was grown in Russian Federation only on 24 thousand hectares. One of the essential reasons of abrupt reduction of yield was overwhelming incidence of Fusarium wilt, which not only caused considerable decrease of productivity, but also frequently led to complete destruction of plants. 15 years had passed before cultivars resistant to Fusarium wilt were released. Nowadays, it is necessary to solve the problem of plant resistance to anthracnose and virus diseases as well as to attain year-to-year yield stability. Low-efficiency system of agriculture in the former USSR, which was based on public property and paid no heed to final results, also could not provide for the development of lupin production. Collective farms were the first who started applying advanced technologies and growing high-yielding cereal crops, as they were administratively compelled to achieve constant growth of total grain yield. However, lupin is not competitive in such parameters. High protein content in its seed interested nobody. More tempting seemed to use its green matter as forage for dairy cattle and such utilization technology immediately yielded a return of milk, the product that was also demanded by the government from the directors of collective farms. · to expand and improve the sources of raw materials for production processes. In order to handle these problems by scientific methods the All-Russian Research Institute of Lupin was founded in the town of Bryansk. According to the data obtained by this Institute, cultivation of lupin is highly profitable even if the seed yield amounts to 1.0 t/ha. It is comparable with the barley grain yield of 4.0 t/ha in terms of protein equivalent. The potential of grain-yielding efficiency of modern lupin cultivars is at a level of 3.5-5.0 t/ha, and green matter yield at 40.0-100.0 t/ha (Такунов et al., 1993). 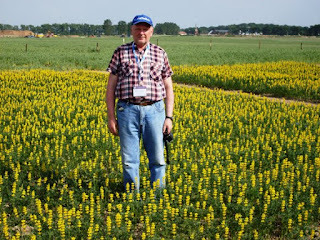 In Belarus lupin was cultivated on the area of 200-300 thousand hectares. There were plans to allocate 500-600 thousand hectares for lupin grain production. (Шутов, 1982). In the Ukraine about 500-600 thousand hectares were planned for lupin cultivation. Grain production there is based not only on yellow lupin, but on white lupin as well (Головченко, 1974). Yellow lupin is also cultivated in Lithuania and Latvia on a smaller scale. The ancient culture of white lupin under the local name Hanchcoly existed in Western Georgia until quite recently (Kurlovich, 1996). However, our investigations have shown that now local Georgian forms are on the verge of disappearance. Accessions of hanchcoly are preserved in the genebank at the N.I. Vavilov Institute of Plant Industry as promising source for future breeding. Presently in some places of Georgia white lupin cultivars bred by Golovchenko are being cultivated (Kievski mutant, Gorizont and Solnechny). They are grown mostly between rows in orchards and among tea bushes. We have tested numerous species and cultivars of lupin in different regions of Azerbaijan (Курлович and Гаджиев, 1989). The most promising place for lupin cultivation proved to be located in Lenkoran Region. It is a zone of humid subtropics situated near the border with Iran with highly favorable opportunities for cultivation of white lupin and other Lupinus spp. under autumn crop. In the mountain areas of Zakatalsk it seems expedient to sow lupin in spring, as the plants cannot tolerate severe winter frosts. Prospects of distribution of different lupin species over the European part of the former USSR (Belarus, Russia, Ukraine, Lithuania and Latvia) are 20 million hectares according by Dr. Shutov (Шутов, 1982).